In 1956, Dr.Vishnu Shridhar Wakankar, a senior Indian archaeologist was travelling by train from Bhopal to Itarsi in Madhya Pradesh. Train was passing through the dry and dusty barren lands near Bhimbetka -a remote place 60 km before Itarsi. While casually looking through the windows, Dr. Wakankar observed a cluster of huge rocks in the distance. 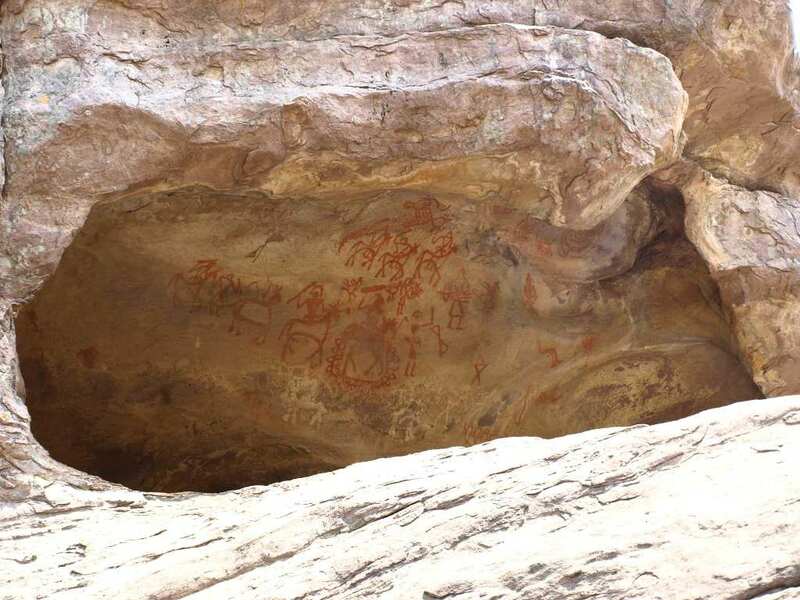 Dr.Wakankar was a specialist in ancient rock paintings and something clicked inside him as he saw those rocks. Quite unplanned, he alighted at the next railway station and walked his way back to that barren land where he spotted the rock clusters. He did not know that he was about to make an incredible discovery. He discovered numerous rock paintings and other artifacts which opened new era of Indian archaeology. 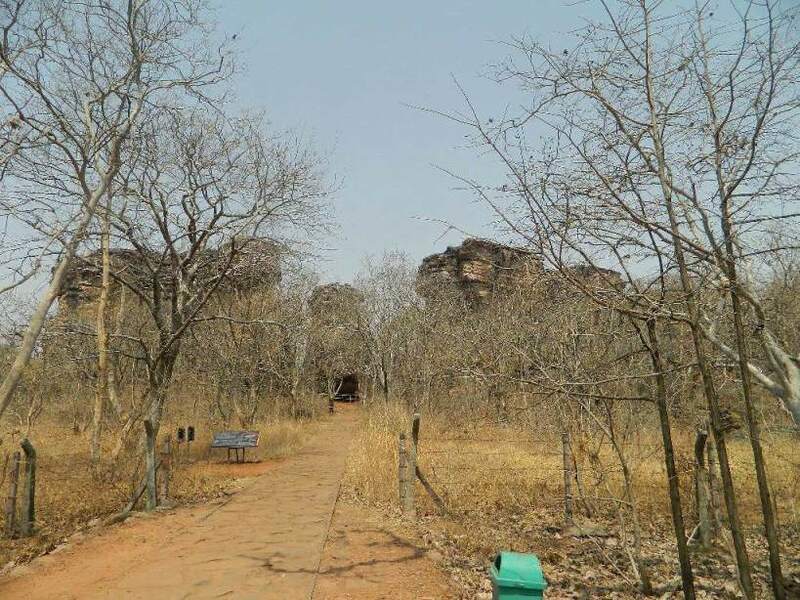 Later his discovery was widely celebrated as the Bhimbetka Rock Shelters which is believed to be inhabited by Paleolithic men as early as 30,000 BC. The walls of Bhimbetka rock shelters are rich with prehistoric paintings. Some of the oldest paintings anywhere in the world were found here. 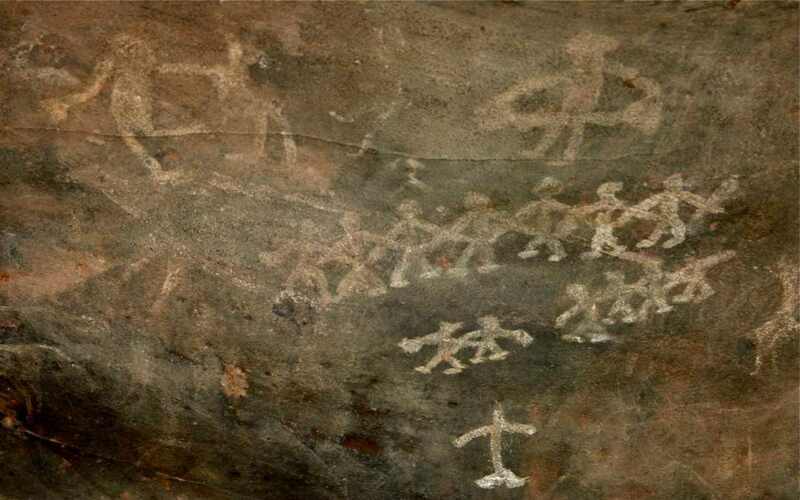 One of the earliest record of dance as a ritual was found in Bhimbetka. The painting features 2 groups of human figures holding hands and dancing along with a musician. It might be the first recorded dance in the world! 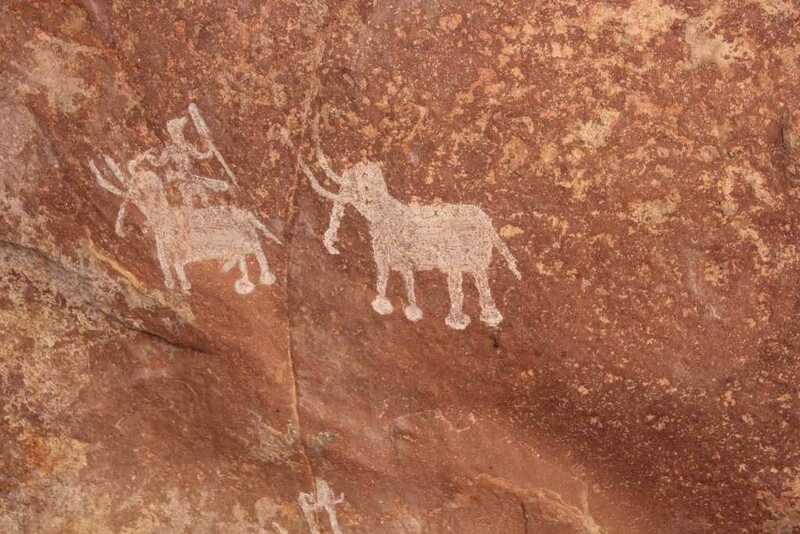 There are also numerous paintings in Bhimbetka featuring various animals, scenes from hunting and social rituals. The discovery of Bhimbetka was a great milestone in Indian archaeology as scientists found various evidences starting from Stone Age in BC 30,000 to 1 century BC, during the time of Buddhism and Emperor Ashoka. However the most famous out of them is the dancing figures of Bhimbetka. Due to its archaeological significance, UNESCO declared Bhimbetka as a World Heritage Site. Let’s come back to Dr.Vishnu Shreedhar Wakonger. The discovery of Bhimbetka changed his life completely. He set up a small camp near the rock shelters to do further research. He lived in the most modest jungle camp for many years studying Bhimbetka. Dr.Wakankar worked in the team that discovered the dried up basin of River Saraswathy, thus proving that it was not a mythical river. In 1975, he was awarded Padmashree for his extraordinary contribution to archaeology.